These bars. Wow. Buttery, crunchy on the outside, deliciously smooth and gooey on the inside. 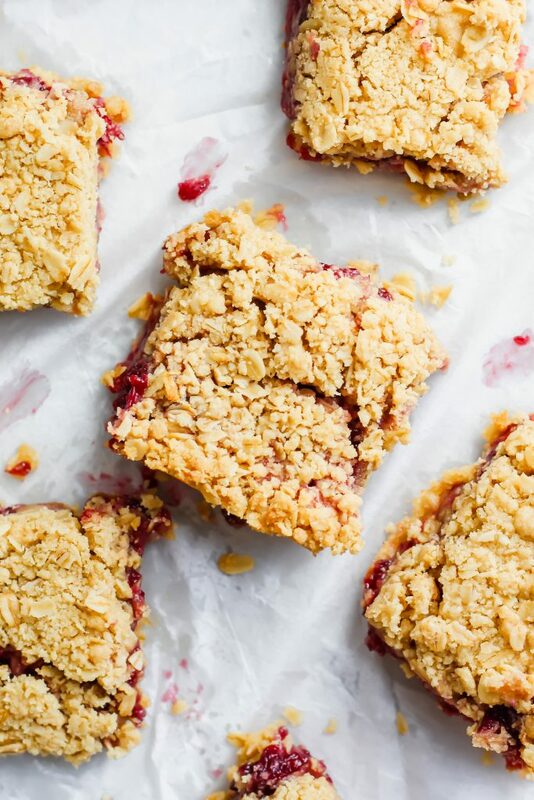 These are the perfect crumbly, sticky sweet bars that will transport you back. To butter. And jam. And carbs. Aka all the good things in life. I don’t know when people stopped eating jam on the reg for breakfast. I feel like for many past decades, people always ate eggs, toast (with butter and jam) and bacon for a healthy, hearty breakfast. Now people grab a cup of coffee and go. Or they make an upscale avocado toast (which don’t get me wrong, I love)….but I am nostalgic for the simplicity of toast and jam. Which is where these bars come in. I think the first time I made these for Benjamin is the first time he knew he loved me. Ha! They’re that good. 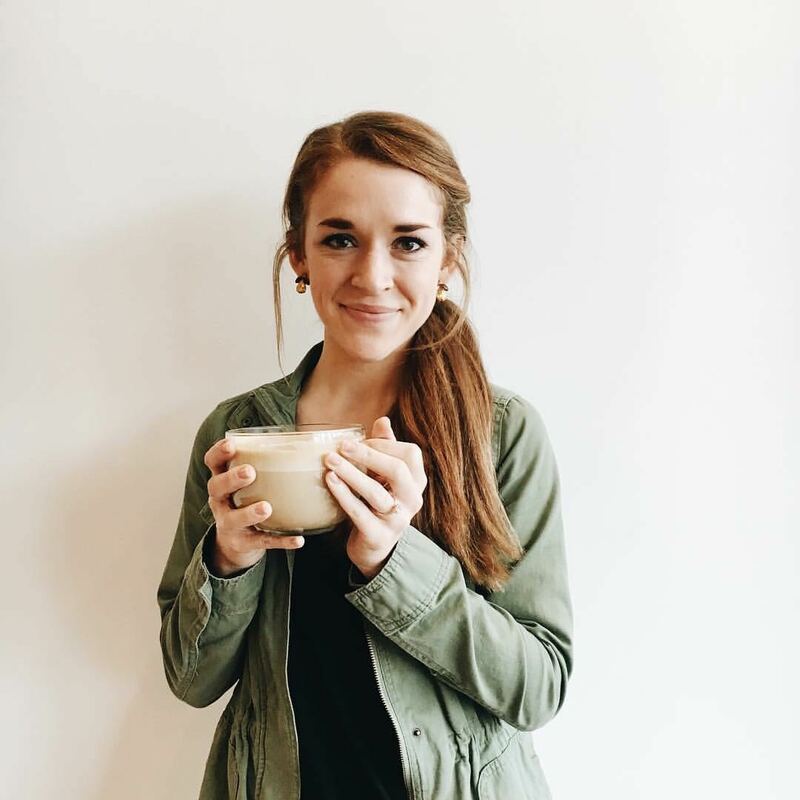 They have such a tasty buttery crust, filled with brown sugar and rolled oats (that sounds like my love language). 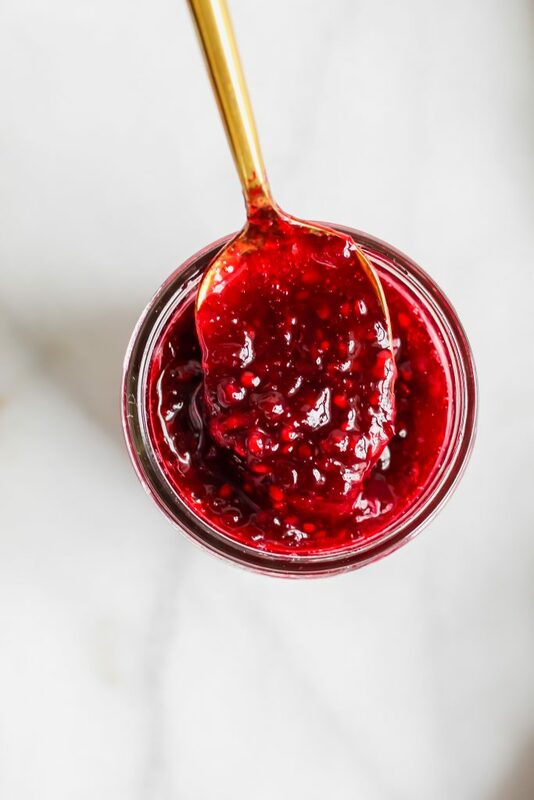 Inside, the filling of the blackberry jam just oozes out, getting all over your fingers but filling your heart up with so much love. Did I mention the blackberry jam that you fill these with is completely homemade and only requires 3 ingredients?!?! Oh my gosh. It’s amazing and the perfect balance of sweet and tart. Get the full recipe for that deliciousness HERE. I think the thing I like most about these bars is how versatile they are. Seriously, you want to eat one for breakfast? Do it! Pair it with a creamy cup of coffee and you’re set. Or hey, you’re hungry at 2 PM? Warm that baby up and eat it as a snack! Lastly (my fave), do you have a hankering for dessert at around 9 PM after Taco Tuesday? Okay, might as well heat one up and then add a dollop of vanilla ice cream. Why not!? 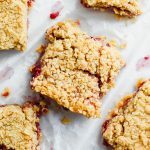 The deliciousness of these bars starts with simplicity: rolled oats, flour, a little salt, brown sugar and baking powder. Super easy. Mix these babies together in a large mixing bowl. Next involves one of my favorite things: BUTTER. The salted kind. I made sure it was cold and cut it into small pieces. 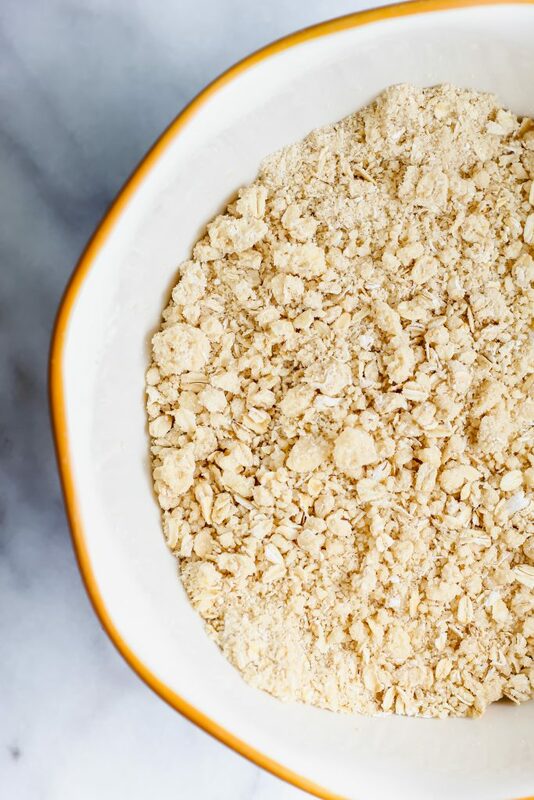 After that, I added it to the bowl of my dry ingredients and used my hands to incorporate them. It may take some time but you want the butter to be fully incorporated into the dry mixture in almost pea sized crumbs. You can also mix the butter in with a fork or a pastry cutter There’s just something about getting your hands dirty while baking though, right?! Either way, make sure you get it mixed in super well. Also – pro tip, you HAVE to use salted butter in this recipe. It gives it just the slightest salty-sweet vibe and it’s to die for. 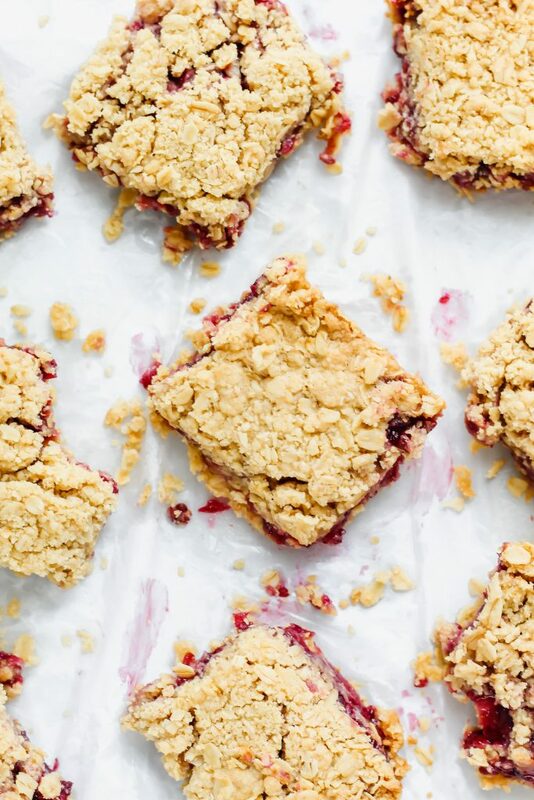 Salted butter plus the sweetness of the brown sugar and the blackberry jam. SO MUCH YUM. Next, make sure you grease your pan (or you can use parchment paper!) and you place half of your mixture firmly patted down in the bottom of the pan. Add a few dollops of blackberry jam and spread it all over the oat mixture. Then carefully add on the other half of the mixture and gently pat it to where it sets up. Place it in the oven, bake it for around 35-40 minutes and you’re done-zo! Now you can sit back and enjoy one (or three) of these delightful little treats. Disclaimer: Make sure to have a napkin around – these babies sure are oooey gooey and sticky. Enjoy! 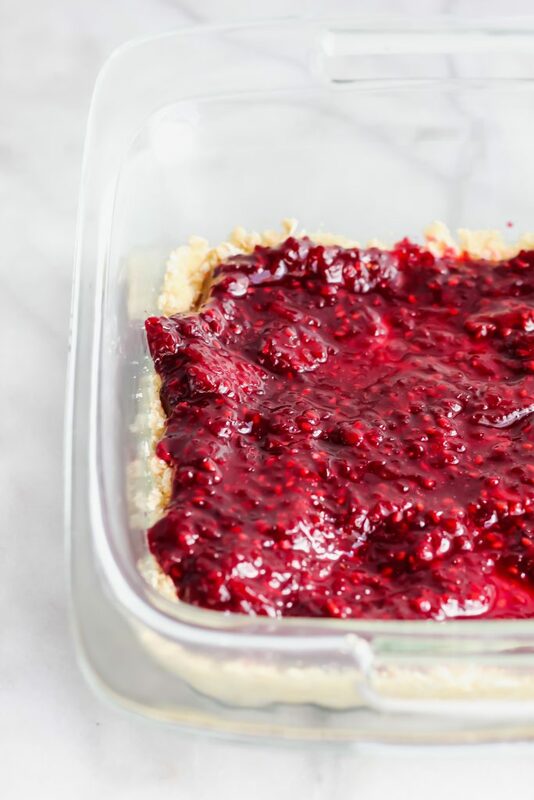 A delightfully sweet treat made with a buttery oatmeal crust and filled with homemade blackberry jam. Cut cold stick and a half of butter into small pieces. Mix in the butter with the dry ingredients. Use either a pastry cutter or your hands. This will take time - and it will resemble coarse pea size crumbs when you're finished. Grease an 8x8 baking dish. Press half of the oat mixture firmly into the bottom of the pan. Add jar of blackberry preserves and carefully spread it evenly over the mixture. Press the other half of the oat mixture on top gently. This is awesome. The photos looks yummy and I ‘am drooling right now. This is perfect for snack time. Gonna try this. Thank you for sharing this recipe. I also love toast and jam. You know when you get breakfast when you go out to eat, and they give you like 2 or 3 pieces of toast and an assortment of jams? I LOVE that. Haha! I also know I’d love these gorgeous bars. I’m all about blackberry!! I watched you make these in your IG stories the other day, and I’ve been thinking about them ever since. 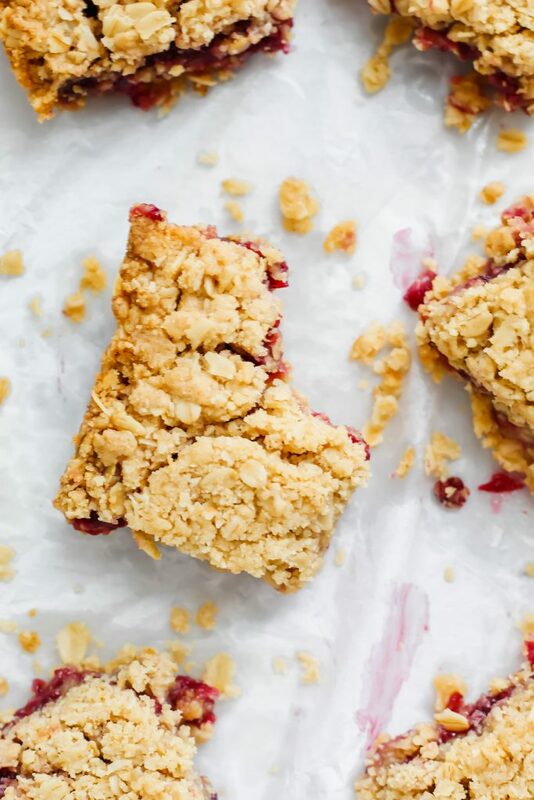 Love blackberry desserts, and oatmeal bars are so delicious! A quick and easy dessert that looks oh so good. Haylie, these are definitely my love language! That buttery crust and topping and that beautiful homemade jam – Heavenly!